What are the best horses in Red Dead Redemption 2? Your horse is your most trusted companion in RDR2, so you'll want to get your hands on a good one -- one that allows you to escape from danger quickly while also carrying you great distances when it's time to travel across the map. In this guide, we're going to go over the best kinds of horses that you can find in Red Dead Redemption 2. If you want to know how to clean your horse in Red Dead Redemption 2, take a look at our guide. Meanwhile, if you want to know how to increase your horse's bond level in Red Dead Redemption 2, check out this guide. The best horses in Red Dead Redemption 2 aren't necessarily predetermined. Horses come in different breeds, which decides their physical qualities as well as their statistics. Overall, you want a horse than has good stats (high health and stamina), and the general feel that suits you. This is where horse handling comes into the equation. Standard Handling - These horses are the most common. They're usually of an average size and have average health, stamina, and speed. However, rarer Standard Handling breeds, like Mustangs, have a much higher health and stamina cap, it's just that finding them out in the wild is a lot harder. You can buy common Standard Handling horses at stables and most of the time, they're the cheapest option. Heavy Handling - These horses are the slowest of the lot, but they're big and tough, usually boasting high health and stamina. Heavy Handling horses include the likes of Shires, which can be found pulling stagecoaches and wagons. You can steal these horses by locking on to the horse and choosing to cut it free. Race Handling - These horses are the fastest you can find, but in most cases they don't have a great deal of stamina. Race Handling horses are usually very slim in terms of physical appearance, with long legs. At stables, they're generally priced at a moderate amount. Elite Handling - These horses tend to be the best overall horses in the game. They're not quite as fast as the rarest Race Handling horses, but Elite Horses have very high stats. It's no surprise, then, that they're often the most expensive horses that you can buy at stables. Meanwhile, if you happen to spot an Elite Handling horse in the wild, be sure to catch it. You can either keep it as your own, or you can sell it for a high price. 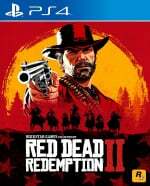 To find the best horses in Red Dead Redemption 2, the first place you want to look is the nearest stable. 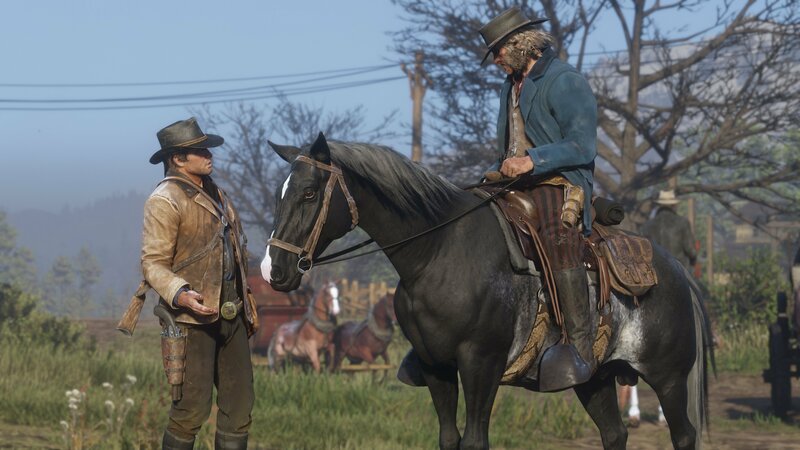 There are numerous stables dotted across the map, but the two best are found in the game's two big cities: Saint Denis and Blackwater. The Saint Denis stables can be access from chapter 2 and beyond, while you'll have to wait until the end of the game to get to the Blackwater stables. These two stables are the best because they usually have the highest quality horses in stock. You'll have to pay a large amount of money to buy them (generally upwards of $600) but this is the easiest way to get your hands on horses with very high stats. If you don't feel like spending money, you can roam the game's world looking for wild horses. Wild horses tend to stick to open areas, or at least the edges of open land. However, you have to be lucky to find a high quality horse out in the wilderness, as they're randomised to some degree. Your final option when seeking a high quality horse is to steal one. Horses that pull stagecoaches and wagons, or horses that have a single rider, can be stolen. If you want to do things non-lethally, you can jump to a wagon or horse by riding alongside it and pressing square when the prompt shows.